Kingston, Jamaica, spring 1978, and Lloyd Parks is taking his We The People band in to Joe Gibbs’ Studio to record the ‘Meet The People’ album. Lloyd has already achieved big local hits both as a solo singer and with the Termites, and had three solo albums released by Trojan in the UK. Now, as a session musician, he is at the heart of Joe Gibbs’ quest for international success. That February his bass playing helped to propel Althea and Donna’s ‘Uptown Top Ranking’ to number one in the British charts. Lloyd Parks: “Joe Gibbs’ Studio was like the hang out spot, like the chill spot for every artist. Every day you’d find Big Youth, Prince Far I, Culture and the Mighty Diamonds and all the musicians come around. Before each recording we would play cards and have fun, like find some joke to make off each other, and then we walk into the studio with that same spirit. So that just spin off into magic. Like sometimes when you’re recording the engineer call out ‘ready, ready!’ and then somebody just draw a card, like we call it a card when we jive each other, and then we just have to stop the tune and start again because everybody just laugh. We would be there maybe Monday and Tuesday for a full recording session, but then also every other day just to hang out, cos it was like our recreation ground. And we become the resident band for Joe Gibbs and he called us the Professionals. “Joe Gibbs’ Studio was near a place called Jungle, so sometimes bad guys come in the yard, but they come just to listen to music, not for violence. I remember there was one time when Joe Gibbs owed some money to Prince Far I or Culture, so some bad guys come in the yard to make trouble. It was a problem with royalties, but with so many bad guys there they manage to resolve it – heh heh. But really the badmen just love the music and love the musicians. By 1978, Joe Gibbs was really starting to taste international success, with the ‘African Dub’ series and albums by Culture and Prince Far I having found a wide audience overseas, and Dennis Brown just about to break through. After an apprenticeship at Studio One, Errol Thompson had shaped the sound of early reggae at Randy’s Studio, leading early forays into dub, before moving to Joe Gibbs’ new 16-track studio in 1975. The pair were soon nicknamed ‘The Mighty Two’. “Errol Thompson was one of Jamaica’s greatest engineers, and he was the real producer back then. I rate him like Lee Perry as a producer, a similarly talented person, a champion in those days. All those ‘African Dub’ albums, it was really Errol Thompson behind that, and he bring a lot of inspiration to those versions. Like even on the original of ‘Ordinary Man’, that was Errol Thompson at Randy’s studio putting all those ‘woowoo’ effects on the version. But let me tell you, that studio was full of a load of old equipment. Before he could start each session, Errol Thompson was always patching things up before we could get going! “It was natural then that I recorded the ‘Meet The People’ album at Joe Gibbs Studio. But when I record it, I still had to book Joe Gibbs studio and pay for my time. Nothing for free! At one time I was in a bad situation with money with my house. So while I was in there making hit songs for Joe Gibbs, I ask him if he could lend me some money, and he said ‘go in to the studio there and make me some songs’, and as soon as I went in he flew straight out of the country! That was the kind of guy he was, maybe not a bad guy, but not a kind guy. “So I spent my money to make this album. We The People Band was formed in 1975 and I just decided it was time to make this album a couple of years after. At that time We The People was really active, and you can find plenty of film on the internet with Dennis Brown all through that time, like ‘Live In Montreux’, and ‘Splashing The Palace’. Dennis Brown said that I was like his credit card – he used to say ‘I never leave home without my credit card!’ There is also that film called ‘Heartland Reggae’ with U Roy and Jacob Miller, where you can watch the same set of guys as on this album. “On drums there was Devon Richardson, one of the greatest drummers that ever come out of Jamaica – in fact Sly Dunbar used to admire him a lot, and Sly would say ‘he is the only guy can play back what I am playing’. Devon and Sly were the two drummers who really played all the sessions at Joe Gibbs studio. Then you have Winston Bowen on guitar, that is ‘Bo Peep’. A lot of these guys came through my band and went on to long careers. Like Dean Fraser is on this album, but we called him ‘Youth’ on this LP. So being that I was like the senior recording musician at Joe Gibbs, I introduced these horns sections with these young guys – Dean Fraser and Nambo Robinson. Chico Chin was already in the band and Lloyd Kerr played trombone. Then there was Franklyn Waul, alias ‘Bubbler’, who also start with me – I had to go to his school to get him, and eventually he became popular and create a scene. Ruddy Thomas was the first lead singer for We The People, and then he learnt to work as an engineer at Joe Gibbs, and also as a percussion player. And Mighty Diamonds sing backup vocals. “It was a really great album, but I never had proper distribution for it. It was just released in Jamaica but I used to sell it for export, so it still made it out to different countries. At the time I had given my first three albums to Trojan, and maybe they could have done a bit more, so I figured that I wouldn’t go that same route for this ‘Meet The People’ album. 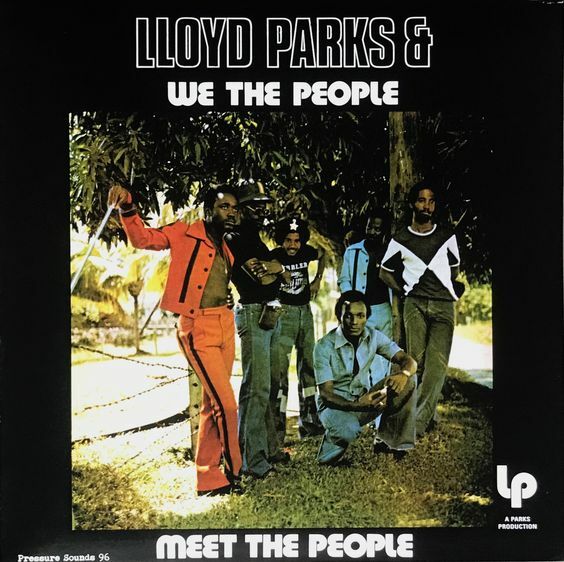 As the We The People band became increasingly in demand as a live act, Lloyd’s collaborations with Dennis Brown for Joe Gibbs created a huge hit with their recut of ‘Money In My Pocket’, and a brace of albums for A&M. Yet just as the studio’s global reach seemed assured, Joe Gibbs found himself caught up in a dispute over songwriting royalties for JC Lodge’s ‘Someone Loves You Honey’. The ‘Meet The People’ album may have had limited distribution, but its rarity has only added to its strong reputation with aficionados over the years. Today its songs of reality still resonate, and vibrancy of the musicians still jumps out of the speakers. La date du 30 octobre sur bandcamp doit être la date de sortie digitale. Ca fait très longtemps qu'ils n'ont pas mis leur site à jour et les dernières sorties : le Delroy Wilson "Go Away Dream" & le Tubby "Dubbing In The Backyard" n'ont pas eu un gros plan promo comme les albums précédents... Ils sont moins "fous" dans l'esprit qu'un LP entier d'inédits de Yabby You ou de Lee Perry aussi. 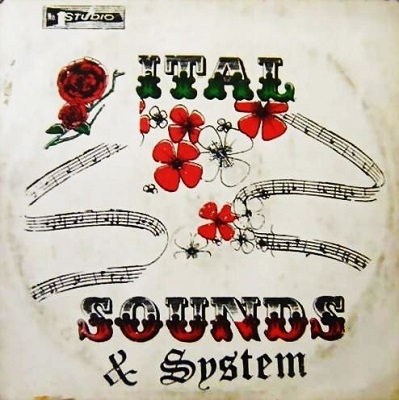 ITAL a écrit: Ils sont moins "fous" dans l'esprit qu'un LP entier d'inédits de Yabby You ou de Lee Perry aussi. La version CD aura 6 bonus.